We at FBF Inc. take our commitment to our quality control system very seriously. Every person within our organization goes through intensive training to make sure your parts are not only manufactured according to your specifications, but we are adhering to and often exceeding the guidelines of our ISO 9001:2015 certification insists upon. We work hard to exceed your expectations of us. We stand by the metal products we manufacture for our clients and if you are not satisfied, we will expedite the production of replacement parts as soon as possible. Underlying our fabrication quality control system is that everyone in our organization is onboard, regardless of their role in the operation. Quality control of the parts we make for you starts when we are working with your designs and preparing an estimate. If we recommend edits and adjustments to your design, it is often because the quality of your fabricated metal parts is being impacted. When we receive approval to begin production, it’s all hands-on deck. We hold production meetings daily and track the progress of your project so that we may optimize part flow, equipment utilization, manpower requirements and on time delivery progress. Our quality testing lab is fully equipped to make sure we maintain tight tolerances at all stages of the production cycle. 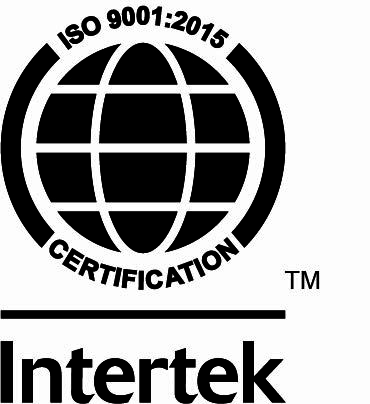 This means that your metal parts are manufactured in a plant where the Quality Management System is conforming to the requirements of the ISO 9001:2015 standard and is audited by Intertek Group PLC. Intertek is a leading Total Quality Assurance provider for the manufacturing services provided by FBF Inc. Click here to see our most current certificate of registration.